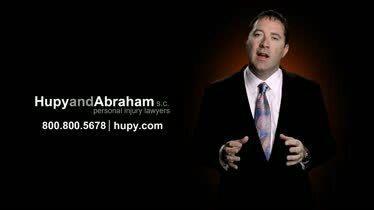 Dog Bite Lawyers Milwaukee Wisconsin | Hupy and Abraham, S.C.
Each year, approximately 4.5 million people are bitten by dogs in the United States. Many of those dog bites happen here in Wisconsin when our neighbors’ dogs get loose or our friends’ dogs become aggressive. The wounds, infections, and other injuries that result may be life-changing—or worse, they may be life-ending. If you have been hurt or your loved one has been killed, then you probably have questions. How could this have happened? What can you do now to get the medical care that you need and the financial recovery that you deserve? 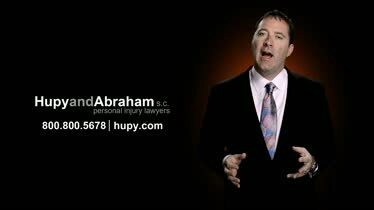 At Hupy and Abraham, we understand the significant injury you’ve suffered and the hard issues ahead of you. We are here to help you through this difficult time. Since 1969, we have represented personal injury victims—including those hurt by dogs. With over 170 years of combined experience, our large, skilled legal team has the knowledge and resources that you need to be successful with your case. Who Pays for Dog Bite Accidents? At a vet’s office, business, or daycare. Dogs may sometimes visit businesses. However, you have the right to be safe from dog bites and you may recover damages if you are hurt. At a park. Dogs are also allowed in some Wisconsin parks. However, dog owners are responsible for any injury caused by their pets. On a sidewalk. Dogs are allowed on Wisconsin sidewalks. However, dog owners must take reasonable precautions to prevent bites or attacks and will be liable if someone is injured. At someone else’s home. You may be invited into the home of someone who has a dog. Even though you are in the dog owner’s home, the dog owner is liable for any injuries you suffer because of the pet. A bite in any of these locations can be painful and significant. Facial injuries. Children are at particular risk of facial injuries, but any dog bite victim can suffer a bite to the face. A facial injury can be both physically and emotionally painful and it can be lifelong. Infection. Dog bite wounds can result in serious infections including but not limited to cellulitis, capnocytophaga, pasteurellosis, and others. It is important to know the signs of infection and to get immediate medical attention if you believe you have an infection. Nerve damage. The strong jaws and sharp teeth of dogs can result in serious nerve damage. Sometimes a full recovery is possible, but other times the damage may be permanent. Amputations. An amputation may be necessary because of the damage the bite did to the finger, hand, arm, toe, foot or leg or it may be necessary because a serious infection has set in and it is the only way to prevent the infection from spreading. Scarring. Many dog bites result in lasting scars. These scars may require significant medical attention and may cause emotional suffering. Death. Dog bites can result in death—particularly when a major artery is ruptured or an infection occurs. Children are at particular risk of suffering significant dog bite injuries. 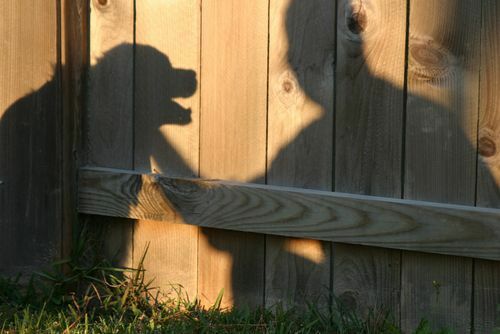 Dogs may misinterpret the sudden actions of children as signs of aggression; however, dog owners are still liable for the actions of their pets and for the serious injuries children may suffer from dog bites. The Wisconsin dog bite law and how it applies to your case. While most personal injury cases are governed by common law, there is a specific Wisconsin statute that applies to dog bite cases and will be relevant to your dog bite claim and recovery. How property insurance may apply to your recovery. The dog owner’s homeowner’s or renter’s insurance may be used to pay for your recovery. However, your recovery will not be automatic. You will still need to prove your damages. How to report the dog bite or attack. The injury should be reported to the dog owner and local authorities. What to do if you are bitten by a dog. If you were bitten by a dog then you should seek immediate medical attention and promptly consult with a dog bite lawyer. What not to do if you are bitten by a dog. After a dog bite, it is important that you don’t negotiate directly with the homeowner or delay medical treatment. Then, it is important to consider filing a dog bite lawsuit. Dog bite lawsuits are not automatic. It is up to you to decide whether or not you want to pursue a claim. Before you make a decision, however, it is important to know how a dog bite case works in Wisconsin. Only certain people can bring dog bite cases. You may have legal standing to file a dog bite case if you were the one bitten by the dog or if you are filing on behalf of your child or other dependent who was bitten by a dog. You have a limited amount of time to file a lawsuit. Generally, the Wisconsin statute of limitations gives you three years to file a dog bite lawsuit. However, exceptions to this general rule may apply. You can collect and preserve evidence. Photographs from the scene of the accident and of your injuries may be important. Additionally, your medical records and the testimony of eyewitnesses may be important. Your own actions at the time of the bite may be relevant. You may still be able to recover damages even if you were partly responsible for the dog bite accident. Witnesses are important. Both eyewitnesses and expert witnesses may provide important testimony about the cause of the dog bite and your damages. Attorneys are important. 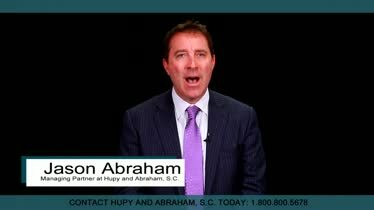 An experienced dog bite lawyer can fight for your fair and just recovery of damages. Settlements are possible. A settlement may reached with the insurance company prior to a court verdict. However, you need to know what your case is worth and how to reach a fair settlement in order to protect your rights. Protecting the rights of your child is also important if your child has been hurt by a dog. As a parent, it is up to you to make sure that your child gets the necessary medical care and that your child’s legal rights are protected. Medical expenses. These includes ambulance rides, surgeries, reconstructive surgeries, antibiotics, pain medications, doctors’ visits, hospital stays, and all other healthcare related costs. Lost income. If a dog bite injury kept you out of work then you may be able to recover for the full or partial income that you did not earn because of your injury. Pain and suffering. Your physical pain and emotional suffering may be compensated. Additionally, you may be able to recover for any other expenses you incurred as a result of your dog bite. Wisconsin dog bite cases are different from other Wisconsin personal injury cases and you need a lawyer who knows how to successfully fight for fair damages. 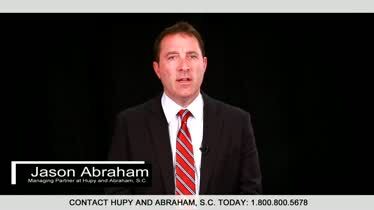 Contact the personal injury attorneys at Hupy and Abraham today for a free, confidential, no-obligation consultation. Call us toll-free at 1-800-800-5678 or use our online contact form to learn more. Help Is Here for Child Victims of Dog Bites If your son or daughter was attacked by a dog, you need to make sure you receive all the damages your family is entitled to. Watch this video to learn more. Why Hire Hupy and Abraham for Your Injury Claim When deciding which law firm and lawyer to hire for your personal injury claim, watch this video to find out why you should pick Hupy and Abraham. Seeking Legal Help After a Dog Bite Injury If you have suffered a dog bite injury, you need to learn about your rights and how to pursue a dog bite claim in Iowa. Watch this video to learn more.